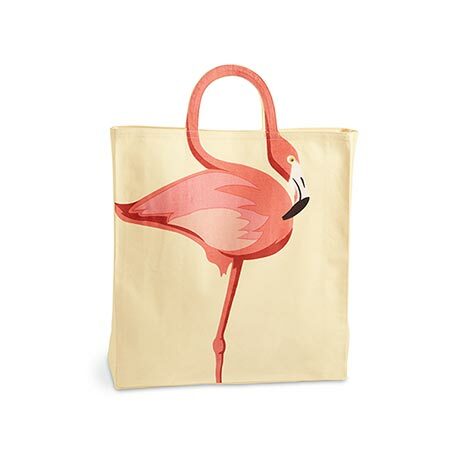 A gracefully long, elegant neck forms the clever handles on our natural cotton canvas tote. 14"w x 15"h x 3"d (not including handles). Printed on one side.